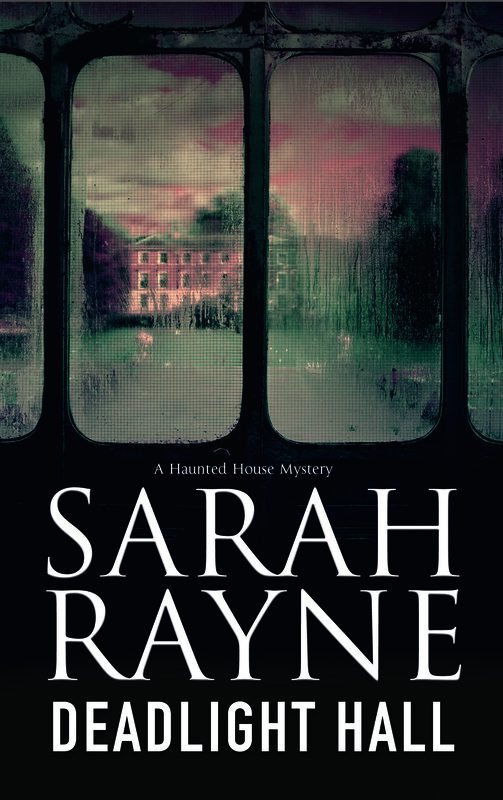 When Michael Flint is asked by a colleague to look at a reputedly haunted house, he is intrigued and interested – the more so since the elderly Professor Rosendale’s background has always been something of a mystery within Oriel College. But Leo Rosendale’s childhood holds a shattering secret – a secret he has struggled to forget, but a secret that is macabrely tangled with the closing years of World War II, and with a pair of twins who vanished from the grim Deadlight Hall nearly seventy years earlier. The fate of Sophie and Susannah has never been known, and Leo has never been able to forget them. With Deadlight Hall now being restored and turned into smart apartments, there are disturbing signs that its dark past is waking. What is the hunched-over shadow that Michael glimpses – the shadow Leo remembers from his own childhood? Who is it who walks the empty rooms, calling repeatedly for the children? And what is the link between Deadlight Hall and a tragedy that occurred within the long-vanished Salamander House? When Michael and his beloved Nell begin to explore Deadlight Hall’s past, they find that Sophie and Susannah were not the only pair of sisters who vanished from the old house. Tracing the Hall’s history back to the 1880s, they begin to suspect that the truth behind its sinister reputation is more startling and more macabre than anyone has ever suspected. Even in bright sunshine, Deadlight Hall would have been a grim-looking place, and there was no sunshine today, in fact huge storm clouds like purple bruises were massing, as if the gods had decided to provide a traditional gothic backdrop.Michael studied the harsh dark stonework and the frowning eaves and gargoyle-headed rainspouts. The renovations looked as if they were well under way, and a good attempt had been made to dilute the Gothic appearance. The big shadowy hall was filled with the scents of paint and sawdust, and yet just beneath all that seemed to be other scents and sounds. The sensation of a foetid darkness, of air old and stale, and of a sense of extreme loneliness… And a far-off voice, echoing slightly, calling for something or someone… Were they real sensations, or was Deadlight Hall’s past seeping through, like charred bones? The stairs were wide and shallow, and Michael paused on the half-landing to look through the narrow windows. Huge clouds like purple bruises were gathering in the east, and a faint growl of thunder rippled the sky. Storm rain was starting to spatter the windows. Michael was about to go down to the hall when he heard footsteps behind him, and then laboured breathing, as if someone was carrying something heavy. Had the sound been simply an echo? No, there it was again. Footsteps – slow, rather uncertain ones, coming from a second, narrower, flight of stairs at the far end of the landing. Second floor? Yes, of course. And some kind of thudding. The words were ordinary, but the voice was somehow very eerie indeed. Michael took a step towards the second stair. ‘Hello? Are you looking for someone?’ His words echoed in the empty space, and although he could still hear the difficult breathing, there was no response. The movement came again, no more than a blurred outline on the stairs, but more substantial than the shadows that clustered there. It was small enough to be a child, but there was something about it that did not look childlike. Michael hesitated, then went up the stairs, which swayed slightly, and creaked like the crack of doom. The attic floor was dim and warm and there were huge pools of shadows and a thick smell of dirt. Michael had the sensation of the immense old roof pressing down on him. Massive beams spanned the open space overhead; stringy cobwebs dripped from them, and thick swathes of what he thought were roofing felt hung down in tatters. Shreds of light trickled through in those places, and items of discarded household junk lay around. The attic looked as if it had once been split into two or three separate rooms; there were vague outlines of door posts, and at the far end a door looked as if it opened onto an inner room that must be on the corner of the house, almost under the eaves. Servants’ rooms, thought Michael. Cramped and airless. Cold in winter and stiflingly hot in summer. There was an unhappy feel to the place, but there was no sign of the small figure, and the strange hammerings had stopped. He would go back downstairs and find one of the workmen to ask if a child was known to be in the house. Michael leapt back from the door, as if it had burned him, then took a deep breath and called out, as he had done earlier. ‘Hello? Is someone there? Are you trapped?’ His voice sounded strange in the enclosed space. ‘Is someone there?’ he said again, a little louder. The lightning flickered again, showing up the worn joists and the crumbling floorboards, and thunder growled again. Then silence and blackness closed down again. Michael was momentarily dazzled by the flickers of light. But he waited, and after a moment the words came again.